 At Cotswold Clubhouse we want to include as many people as we can, whatever their age and capabilities. We recognise that though so many children come through our doors every day, there are still so many children that may not be able to come along to a normal soft play session, as it will could be too overwhelming for them. Therefore, we are proud to now be able to offer children with Autism and Special Educational Needs & Disabilities, an exclusive play at the Clubhouse, where we close the doors to the general public, and welcome them in. They can have the chance to play in the soft play, run free in the gymnasium, and explore the Clubhouse, without the worry of it being too busy. We will offer complete focus on families with specific needs. The children can have use of the whole soft play frame, including toddler area and sensory section. They can also then go through to the Clubhouse Gymnasium, where they will be able to bounce on the trampoline, balance on a beam, or just have a roll around on the sprung floor. Lots of fun, with staff on hand to assist if needed, and make sure things are safe. It is a wonderful environment for learning, as well as playing, and there is so much to interest them and keep them happy for the time you are here. Due to the exclusive nature of this session, parents or carers will need to pre-book their places. We only charge the standard soft play rates, for use of both that and the gymnasium. First session will be Sunday 19th May 2019, 3.00pm – 5.00pm.